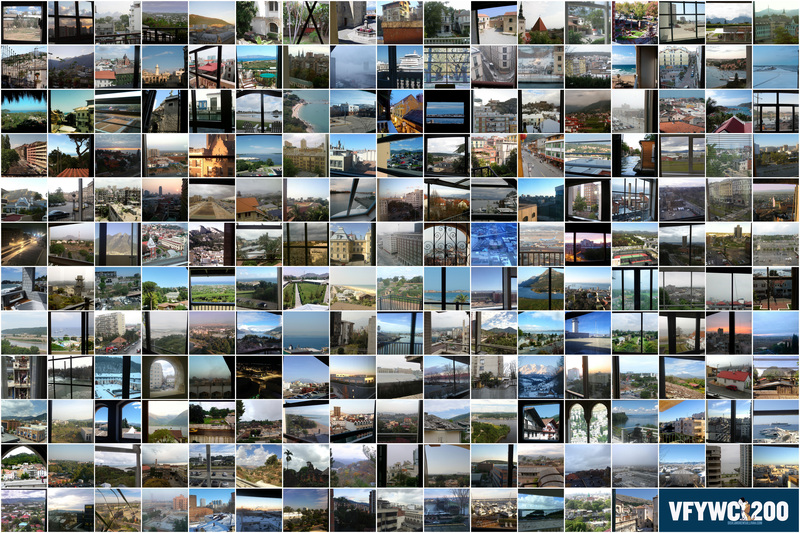 To mark today’s 200th window contest, we put together a new – and improved! – gallery archive to view all of the old contests. As an added bonus, when you click on any of the images in the gallery, you’ll be taken to a slideshow, which could be a fun way to play old contests, especially for our newer readers. Check them both out here. The entire window view phenomenon on the Dish – and I know it’s the favorite feature for many of you – began a long time ago now, when I was thinking late one night about how to convey some of what I was absorbing from the in-tray. So many readers from so many parts of the globe – and yet they cannot really see each other! The highdea was just to get a view from the window from readers across the country and the planet. Digital photos were easy to take and easy to email. Too easy, it turned out, as within a few days – I was doing the blog solo at that point and was awash in jpegs – I was begging for readers to stop. But you didn’t. Here’s how the feature played out over those first few weeks. We eventually made a coffee table book of the best views from all 50 states and 80 countries, which Chris Bodenner edited. The first-ever contest is here. The idea was sparked – like most best things on the Dish – by a reader, who liked to “guess where the photo was taken from (at the country level at least) before scrolling down to see the caption.” See how the contest first evolved here. You can discover a few amazing contest-related coincidences here and here (even today’s view had a happy accident). In due course, VFYWC imitators started popping up all over the web, including the NYT and CNN. Llewellyn Hinkes-Jones built a zoomable VFYW game, which likely inspired the Google Maps version, GeoGuessr. 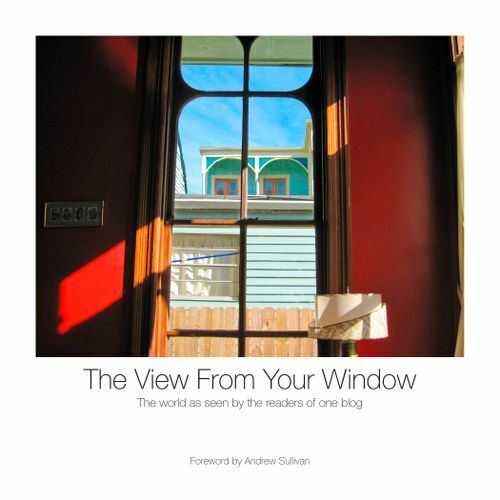 Pete Warden created an interactive map and rotatable globe of window views. Data-cruncher Jay Pinho analyzed the feature in the depth. We marked our 100th contest by recognizing two grand champions, Mike Palmer and his teammate Yoko. But the undisputed all-time champ is, of course, Doug Chini. His tips for winning the contest are here. But the genius of the VFYWC lies with Bodenner. He created the contest, curates it, loves it, and has made it the mini-artform it is. Chris is also in charge of all the reader threads, so the contest came naturally to him. He makes it look easy, despite the hours of absorbing and editing down hundreds of emails each week. He doesn’t seem to sleep much, which is a mercy since the contests can take up to six hours to compose. Recently, Chas is shouldering more of the work. Now the plug. This amazing little thing comes out of this blog and its community, and that blog has only one source of income, its readers. So if you’ve gotten something out of the Window Views or sleuthing through the contest each week, or just enjoy watching others figure it out, and haven’t yet subscribed, do Chris and Chas a favor and do it here. It’s our only way of paying for such work – and for the delight and intrigue and bafflement it produces – along with the scenes of surpassing normality that punctuate our coverage of a troubled world each day. So subscribe! Or buy a gift subscription for someone you want to play the contest with. Elsewhere on the Dish today, our NSFW Saturday post, “Bottoms Up“, continued to draw the most traffic by far. (Yet only 11 of you publicly liked the post on Facebook. Own up to it, pervs!) Other popular posts included Fox actually taking the lead on calling torture torture, Rand Paul getting under the skin of neocons, and cannabis becoming more and more of a sacrament. Our big Truvada thread continued here. And you can read unfiltered comments at our Facebook page and @sullydish.